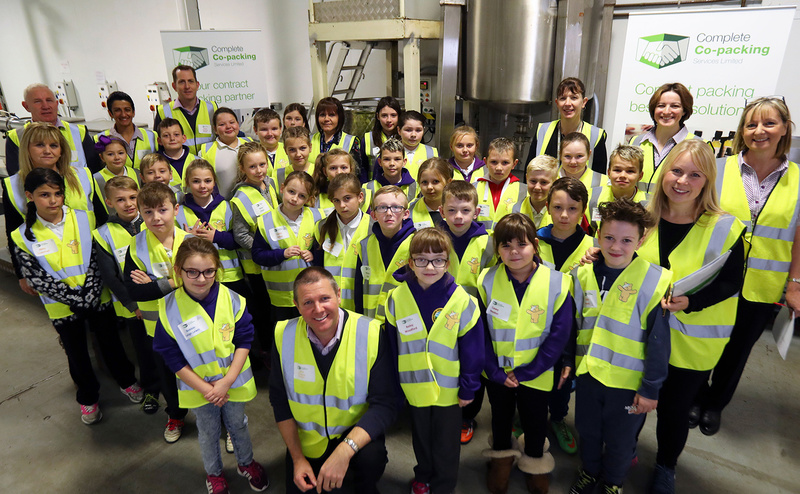 Years five and six from Ynysboeth Community Primary School have been learning vital business skills thanks to a visit to local contract packing company Complete Co Packing Services. 32 children were given the opportunity to learn about profit and loss, planning, overheads, customer service and administration along with experiencing first hand the importance of quality and production. A site tour included warehousing, stock control, engineering and product dispatch. As a company, we are always keen to actively support our local community and firmly believe in supporting today’s young people who are tomorrow’s future workforce. It has been a pleasure to work with the children from Ynysboeth Community Primary School on their business project that included time spent in our production facilities. Ynysboeth Community Primary School opened in September 2012 in temporary accommodation following the amalgamation of the previously separate infant and junior schools. It moved in to its new purpose built premises in December 2013. With some 170 pupils, the school serves the Community First area of Ynysboeth and Matthewstown in the Cynon Valley.